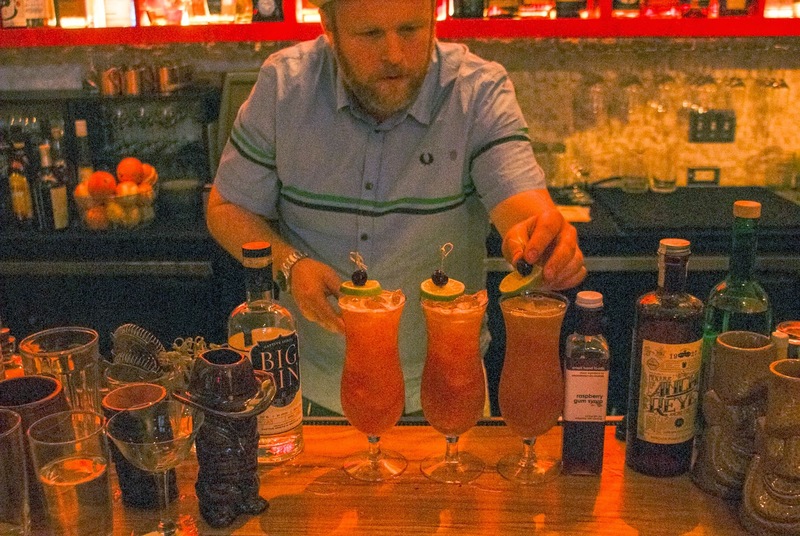 In a buzzy room of Monsoon restaurant, bartenders, cocktail judges and gin enthusiasts came together for the Gindonesia Tiki Night last Sunday. 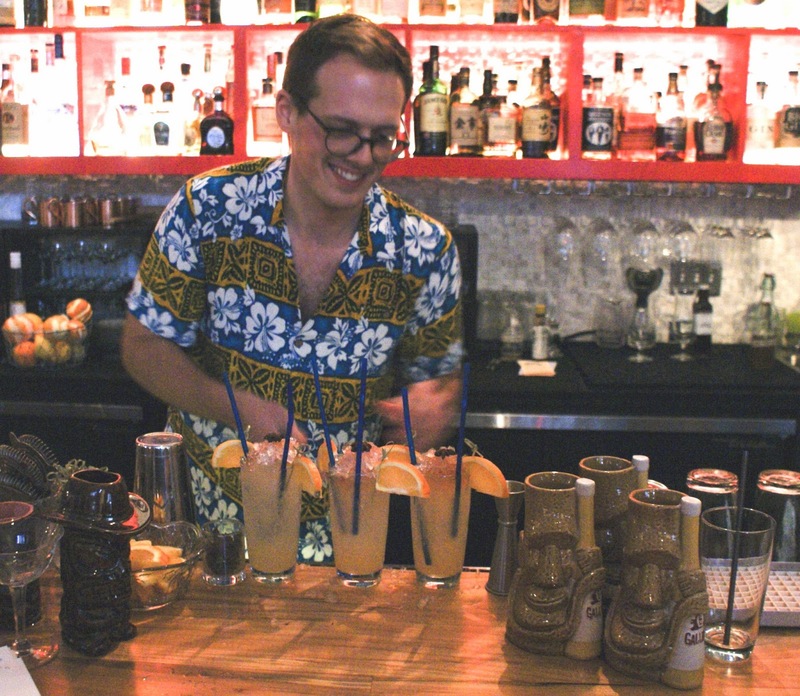 Organized and sponsored by the Seattle Gin Society and by Lucas Bols USA, some of Seattle’s best bartenders went indeed head-to-head in a showdown for the most authentic Tiki cocktail contest. Judges had to rate balance, complexity, taste, presentation and garnish for a total of 25 points. Bartenders are indeed creative personalities and can turn a simple mix into a fun glass with colors, garnish, fruit and flowers ready for a photo shoot. 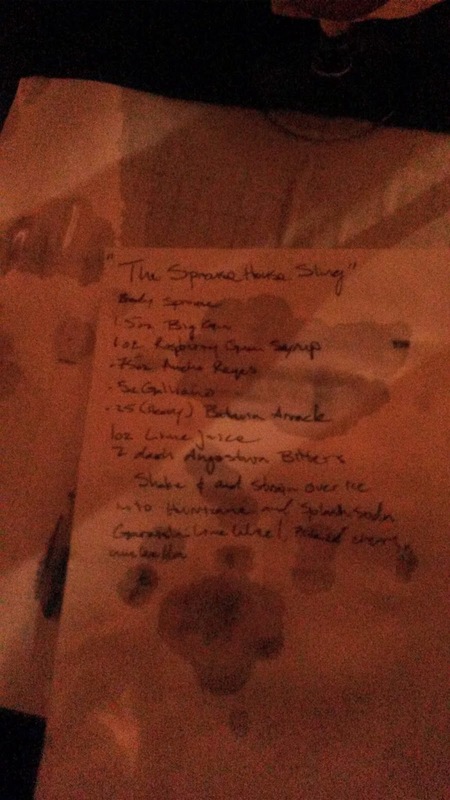 From spice to punches, we tasted many Gin concoctions during the evening including the Bols Genever punch. 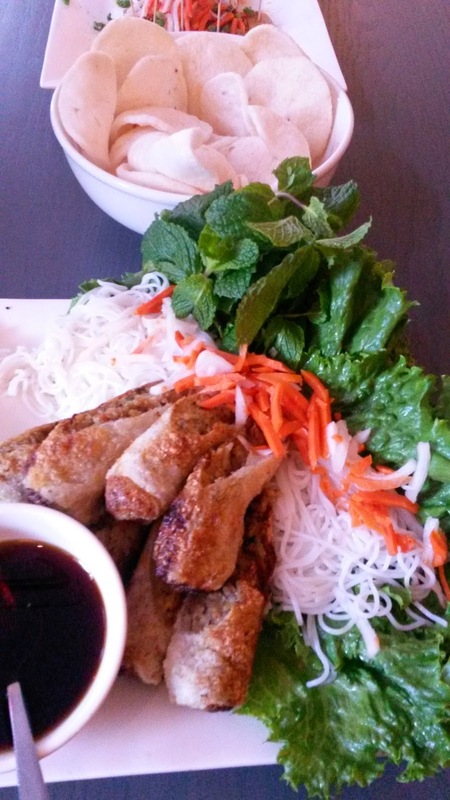 Additionally, Monsoon’s Vietnamese dim sum dishes that included vegetarian and beef rolls, rice noodles, chicken skewers and grilled bò la lot were the perfect pairing for the evening full of Gin and Genever! 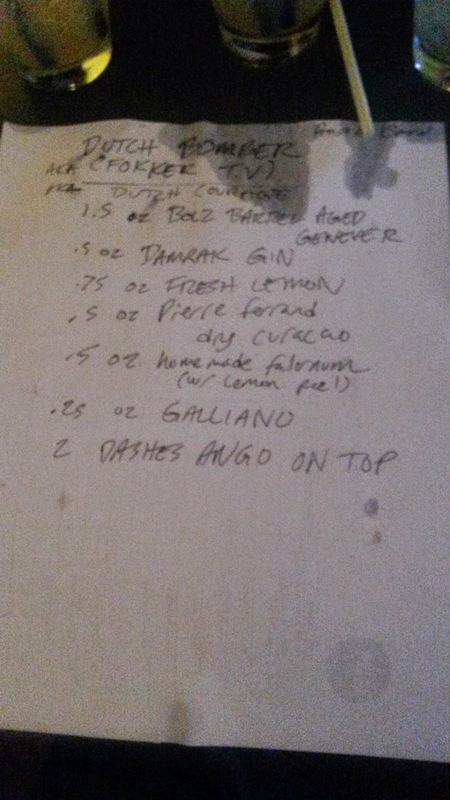 For the history: Genever is the juniper berry-flavored liquor also known as Dutch Gin from which the Gin evolved. The Dutch were probably the first European nation to develop a large-scale commercial distilling industry. Between 1500 and 1700 every sizeable town had several distilleries making jenever, spirit or liqueurs. As they ruled the seas and owned colonies in West and East Indies –Indonesia today- they could import spices and exotic foods. Amsterdam and Rotterdam were prominent ports for sugar, spices and grains. Many of today’s leading Dutch Genever distillers can trace their origins back to the 16th and 17th centuries as Bols (founded 1575). Gin is a juniper berry-flavored grain spirit is an English shortening of Genever, the Dutch word for juniper. Although the origins of Gin are rather murky, it seems that the first time that the spirit was found in the late 1580s in Holland by British troops who were fighting against the Spanish in the Dutch War of Independence. They gratefully drank it to give them what they soon came to call "Dutch courage" in battle. The English brought the idea of making and drinking gin back with them. It would take another 150 years before they would have their own version. What is inside? Traditionally the base of Genever had a high percentage of malt wine (15%-50%), resulting in a spirit that had malty notes like whiskey and an herbal component that is common with gin. This is the style of Genever that we know as Oude or Old, meaning that it is made in the old style. A newer style of Genever is called Jonge, or young in which there is a much lower malt wine content (up to 15%) which results in a much lighter style of Genever. 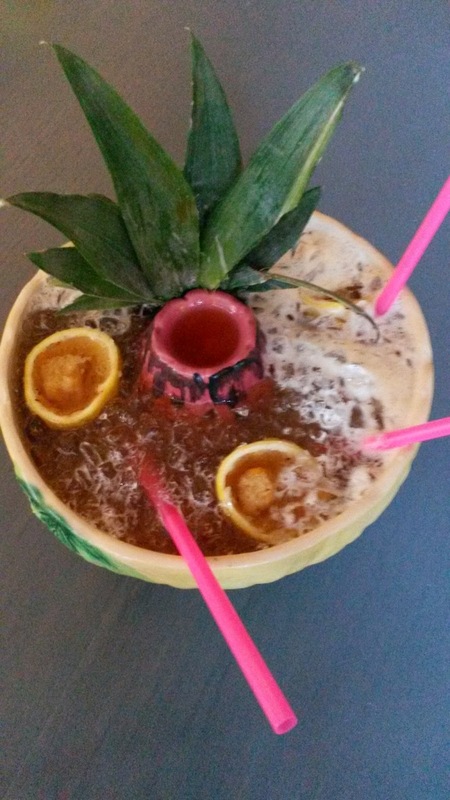 With both styles, the spirits can contain sugar, adding to the richness on the palate.